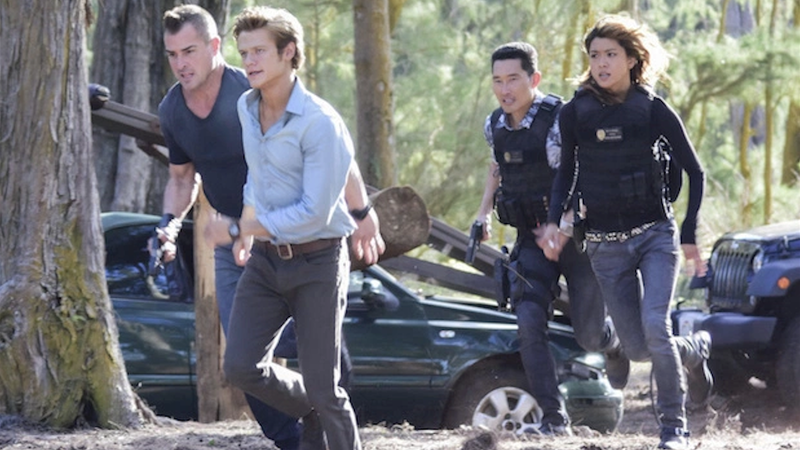 Hawaii Five-O lost actors Daniel Dae Kim and Grace Park after they were reportedly unable to come to an agreement with CBS over a salary increase that would bring them up to the same level as their white coworkers Alex O’Loughlin and Scott Caan. The network is now defending the negotiations by claiming they offered them quite a lot of money, actually. I also want to say thank you to Peter Lenkov, Alex Kurtzman, Roberto Orci and everyone at CBS. I will always be grateful for their faith in me to bring Chin Ho Kelly to life. As an Asian American actor, I know first-hand how difficult it is to find opportunities at all, let alone play a well developed, three dimensional character like Chin Ho. I will miss him sincerely. A “CBS insider” told THR that the contract friction was not about race, but about their status within the show: Park, the insider claimed, wanted eventually to be written off the show, and Kim’s raise as a supposed “supporting actor” would have brought him up to within two percent of what Caan and O’Loughlin make. However, Caan and O’Loughlin also receive “lucrative” points on the show, which don’t appear to have been offered to Kim.